Training your dog is an involved process that will shape your pet’s behaviours and attitudes. Dog Security has partnered with MSK Online Training to offer a range of online training videos to ensure that your pet creates good behaviour practices. These online tutorials are suitable for both puppies and adult dogs. 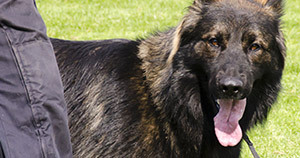 The training videos use methods that are reward-based to shape a dog’s behaviour. The online tutorials can take you through these points in detail so you can be assured you are making the right choice with the newest addition to your family. During the early stages of learning it is essential that you develop the right training techniques and relationship with your puppy. Some other things to consider include: feeding, socialisation, recall and building value for toys. Once the initial stages of training have been covered, it will be time to progress with the online videos towards cultivating stability and focus. Some different aspects that will be explained and demonstrated in detail include developing the dog’s focus, creating stability and heel. Once a puppy has reached this age and progressed through the first two stages of training, it should be able to perform all of the basic tasks and techniques. From this stage, the dog will be able to progress and learn more advanced techniques. Some more advanced things that will be taught in this module include roll over, place and beg. With Dog Security and MSK Online Training, the process of training your puppy or adult dog can be made simple. If you would like to learn more please contact us or visit the MSK website.